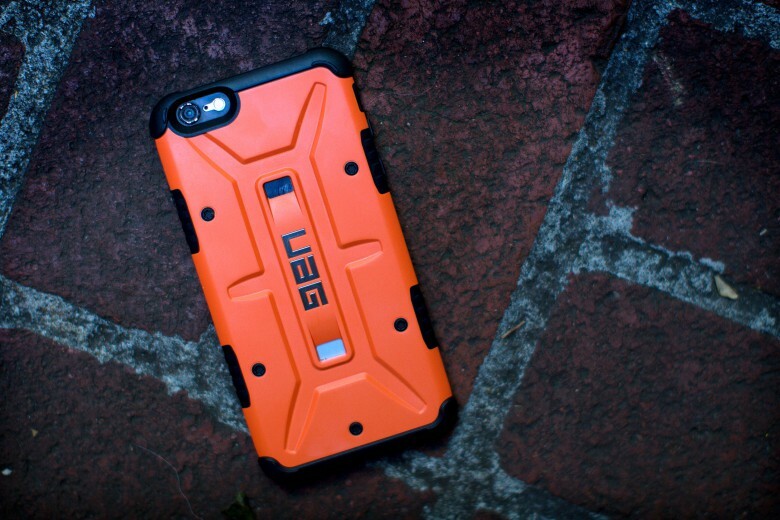 UAG brings the tough-guy bling to your iPhone. No one would accuse Urban Armor Gear of being sleek or subtle. The company’s iDevice cases are loud and rugged. You might even call them masculine, although I know a few of my female friends would embrace the bold statement they make. I’ve always tried to leave my iPhone and iPad naked because of the amazing amount of thought that Jony Ive and crew put into making the devices gloriously simple, but I always end up wrapping my toys in some sort of case. You can get cases made of leather or aluminum or wood or titanium or just about anything you can imagine. The composite Urban Armor Gear cases for iPhone and iPad (as well as MacBook and various Android devices) cover a cushiony inner core with a tough-as-nails exterior and rubberized accents that stop skidding and add to overall impact-resistance. The result is a nice mix of protection and functionality — and a bold fashion statement. Who knew I’d swaddle my beloved iPhone 6s in a bright orange case and love it? Cult of Mac’s Best List is a roundup of products which are badder than old King Kong and meaner than a junkyard dog. Read more Best List mini reviews.